We love our Amex cards as much as anyone (and the great benefits, protections and perks are just fine with us, too), but if you’ve visited the website lately, there’s a good chance you’ve wondered if American Express is too social network-driven. The majority of its homepage is devoted to its rewards offers via social networking sites. From YouTube hosting the Unstaged Music Series to invitations to follow the card company on Twitter for other exclusive offers, it can be a bit challenging to find the available credit card offers. In fact, there’s only one reference, in the footer, for consumers looking for financial education articles. The actual credit card offers are to the side, after you scroll down, and to the left. The menu bar is nowhere to be found on the homepage. While everyone can appreciate an active participation in social media from their favorite brands, most of us visit the websites first, looking for information and second, to browse through the latest offers via social networking sites. Even when visitors hit the American Express “About” page, they’re hit with several hyperlinks going to YouTube, Facebook, Foursquare and Twitter. It’s not until one scrolls further down do they learn that American Express has been a leader in charge card accounts for millions around the globe. With so many new products being unveiled, the country is prime for a major shift – and on Tuesday, that major shift was announced to the world. It’s only after you click past the homepage and into the actual site that you find any mention of its prepaid card, Bluebird, which happens to be the big offer these days. Prepaid cards are being used on a far more frequent basis these days and the Amex and Wal Mart partnership is where all eyes are turned. We did find the latest goings-on with its mobile apps. After several click-throughs, we discovered American Express is now offering ReceiptMatchSM, an app that stores and organizes receipts on your mobile phone. It’s a built in convenience that’s exclusive to American Express business cardmembers. It’s not being made available for those without business credit cards. That said, if you do carry one of the American Express business cards, there are more than a few fine features built into this app. You can take quick photos of receipts as you collect them and the app saves and stores them easily so that you can retrieve them later and add details, such as purchase order numbers, expense classifications and any other details. ReceiptMatchSM will then match the receipts to the corresponding transactions on your online statement. Amex cites these key features as one more reason for choosing its financial products and with all of these effortless ways of tracking expenses, we tend to agree with those who swear by ReceiptMatch. But what about changes with its consumer cards? Is there anything to look forward to from that aspect? Turns out, a major joint announcement by Amex and Wells Fargo indeed has a new player in the game. Both share the same founders and now, Wells Fargo will be issuing credit cards that can be used across the American Express network. This is huge and marks the first time Amex has even came close to sharing similar designs. Even better is the fact that both companies say the credit card offers will be rolling out by the spring. We are delivering on our strategy to expand our credit card business. Our goal is to offer Wells Fargo customers a suite of cards that help them meet their financial goals. We’re proud to have American Express as a partner in this effort – a great company with a proven brand for customer service. If you’re already a Wells Fargo customer, you can apply for the new cards through the website, over the phone and of course, by visiting any of the 6,000 Wells Fargo bank branches around the country. The news on that front is that you’ll be able to get in the early offerings when Wells kicks off its pilot program possibly before Christmas. Both companies stress their desire to ensure customers of either will become customers of both. With greater rewards and even better benefits, this will surely benefit those looking to add to their financial tools. American Express will provide many of its capabilities and support to the nation’s second largest bank in order to provide a smoother transition for customers. The goal is to provide a “superior set of experiences, exclusive benefits and customized offers from the American Express network, both online and offline.” Meanwhile, Wells Fargo will be expanding its programs to ensure added benefits for customers already loyal to the credit card giant. said William Stredwick, senior vice president, Global Network Partnerships, North America, American Express. In doing so, we can support Wells Fargo’s efforts to grow their credit card business and further extend the benefits of the American Express network. Sources are also saying the plan has been in works for months and only after considering all of the angles and covering all the bases did both companies agree to go public. Because of this announcement, there’s a new incentive for both companies to brush up their customer service teams. Both companies bring brand recognition, solid reputations and no shortage of cash to pull it off. Meanwhile, for the competition, all eyes will be on this partnership to see if there’s potential for other similar pairings from the competition. Wells Fargo has historically provided mortgages, insurance, investments, credit cards and other financial products in more than 35 countries. It employs more than 270,000 and has more than 12,000 ATMs here in the U.S. It was founded in 1852 and quickly became one of the nation’s biggest banks and lenders. 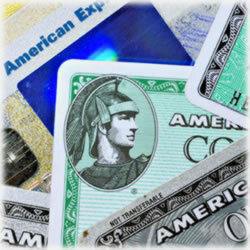 Are you a Wells Fargo or American Express customer? If so, what do you think of this new partnership? Does it make you more inclined to choose one company because you’re already a customer of the other? Share your thoughts with us.